Grandmaster Wu Chuan Yau (1834 – 1902), was a Manchurian member of the Imperial Guard in Beijing, and the first of the family to develop his skills to a level of great distinction. He was trained by Grandmaster Yang Lu Chan, Yang the unbeatable, as he was known. Grandmaster Wu was taught the large circle and the majority of his skills were developed from Grandmaster Yang’s teachings, although Wu’s official teacher later became Yang’s eldest son, Master Yang Ban Hou, to whom he became a disciple, as this was the protocol adhered to. Master Ban Hou was a severe teacher and was fond of beating and injuring Wu during push hands training, and over the years this caused Wu to limp. However, there was one period during the 1860’s when Ban Hou had to go from Beijing to Huang – ping, for several years, and so Grandmaster Yang Lu Chan resumed teaching Master Wu. He inquired as to what had happened to cause the impediment, and because of this, Grandmaster Yang decided to teach the small circle to Master Wu. This is where the essential skills of NEUTRALIZATION were perfected, which were to become the hallmark of WU FAMILY TAI CHI CHUAN. In fact Wu’s genius at neutralization earned him the status of Grandmaster Yang’s most formidable student. When Master Ban Hou returned from his travels and they pushed hands, he realised that Master Wu had been taught the small circle secret methods, as he was unable to find any opening to attack. Subsequently Master Wu was given permission to begin his own school of Tai Chi Chuan. Grandmaster Wu’s son Wu Chien Chuan (1870 – 1942) was taught the same series of methods true to the Yang Family as his father. As little more than a baby boy he would have witnessed training sessions and was raised with a rigorous training discipline. When Grandmaster Yang Lu Chan died in 1872, the Wu father and son team were to develop a bond that in time realised innovations that would distinguish their art. In 1887 Grandmaster Chuan Yau began his own school in Beijing teaching only the large circle, and not only to disciples or to the elite, but to the general public. Together, he and his son pioneered the Form, eventually teaching the tighter small circle, which became their trade mark. Master Yang Ban Hou had died in 1892, and ten years later, in 1902 when Master Wu Chien Chuan was thirty-two years old, his father Grandmaster Wu Chuan Yau passed away. During the first decade of the 20th century Grandmaster Wu Chien Chuan developed the fast and slow sets with changes, to streamline the form, and to make innovations in the applications, push hands and applications of self–defence. In 1916 Hsu Yi Seng, a student of Master Yang Shou Hou opened the new Athletic Research Institute in Beijing and invited co-founder masters Yang Chen Fu, Yang Shou Hou and Wu Chien Chuan to instruct there, along with other great martial experts such as Sun Lu Tang. For the first time the top Sifu’s all made their art available in the one institution for everyone. This was a continuation of Grandmaster Wu Chuan Yau’s hopes. This was a golden age for these masters who re-examined their forms to make them more accessible to the public, the result was the birth of the modern Yang and Wu Style Tai Chi Chuan. They re-modelled the hand forms to be easier to learn, removing the jumps, leaps, scurries, stamps and difficult movements, though to some extent they were still continued in the weapons forms. The first graduating ceremony of 1919 included Master Wu Kung Yi (1900 – 1970), his brother Master Wu Kung Cho (1903 – 1983), and also the first American westerner, a professional wrestler called Mr Williams. Trying his luck on one occasion, he challenged Grandmaster Wu Chien Chuan, unfortunately for him he was quickly and deftly floored. However he remained thereafter as a respectful and dedicated disciple. 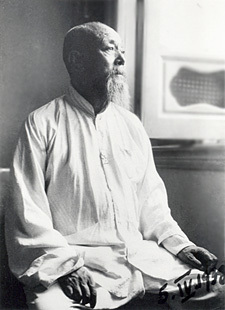 Grandmaster Wu Chien Chuan encouraged his students to practise with “Sung” and to practise the form 10,000 times within three years, advising also that they should develop according to their own needs, emphasising health and longevity, as he wished his art to benefit the Chinese nation and the rest of the world. In 1924 Master Wu Kung Yi was appointed Tai Chi Instructor to the Huangpu Military Academy. Grandmaster Wu Chien Chuan moved to Shangahai in 1928 and was appointed supervisor to the Tai Chi section of the famous Ching Wu Sports Association. He took his grandson Wu Tai Kwei (1923 – 1970), followed by his son in law Master Ma Yueh Liang (1901 – 1998) and his daughter Master Wu Ying Hua (1907 – 1996), who learnt from the age of nine and started teaching at fifteen. In 1933 she became Vice-President of the Wu’s Academy there. Years later in1954 she would become chief instructor in the Wu Style section at the Physical Education Centre Palace in Shanghai. 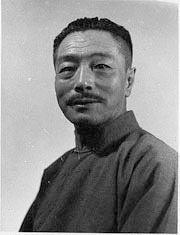 Master Wu Kung Cho who had travelled to Shanghai, to help teach at the Ching Wu Association, eventually travelled again in 1937 to Hong Kong where he had a large following of students. Subsequently in 1939 he visited Nanking to teach at the Nanking Police Training Centre, and at the Hunan Guosho Training Institute. During the difficult years that followed, during the Cultural Revolution, Master Wu Kung Cho was sadly imprisoned for twenty-five years, where he spent much of his time secretly practising and developing many of the Family Chi Kung methods. Master Wu Kung Yi, who was the eldest son of the 3rd generation, had been learning the square form and small circle form from his uncle Master Yang Shou Hou at Grandmaster Wu Chien Chuan’s request, along with Chen Wing Kwong, who was a Chien Chuan disciple. 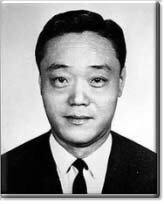 Cheng was invited to live in Wu’s house as a Wu Family disciple and was asked to develop the square form for the purpose of teaching large groups of people on his future travels, (Cheng also travelled the Orient as a salesman). This he did by introducing the famous 1-2-3 Square form which eventually became one of the most popular teaching methods in the Orient. The square form was subsequently followed by the round form, and ultimately progressing to medium and then small circles. 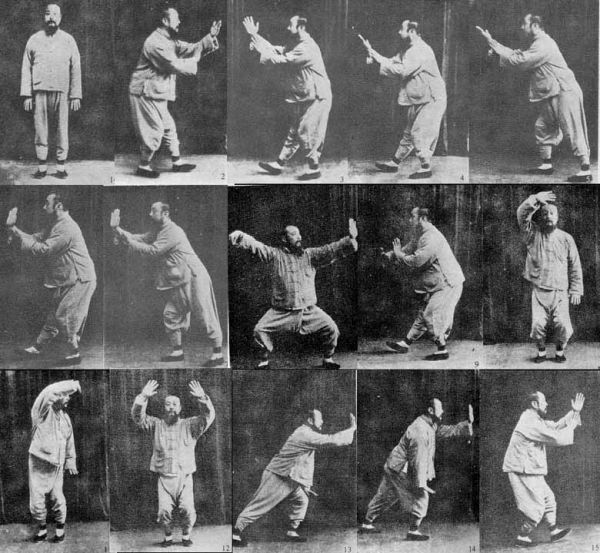 Meanwhile Master Wu Kung Yi had developed the sectional joint system, a unique method of using the joints, and subsequently the mainstay of all Wu Family practise thereafter. In 1939 he opened his first Hong Kong Academy with his son Master Wu Ta Kwei (1923 – 1970), who was the eldest son of the 4th generation, who then became responsible for the Macau Academy. In the 1950’s he was invited to teach Wu’s Tai Chi Chuan in Japan, then continued his father’s efforts in establishing Academies in Hong Kong, Kowloon, the Philippines, Singapore and Malaysia. Master Wu Tai Hsin (1933 – 2005), second son of Master Wu Kung Cho, was sent to Singapore, and Manila, to open his Academies there. Master Wu Kung Yi’s second son Master Wu Tai Chi (1926 – 1993) went to Kuala Lumpur to open an Academy. It was Master Wu Yen Hsia (1930—2001) who was the daughter of Master Wu Kung Yi and sister of Master Wu Tai Kwei and Master Wu Tai Chi, (who looked after the Lockhart Road Academy in Hong Kong along with her husband, Master Kwok Shou Chiong, she having moved from Shanghai in 1948. When her brothers died, she took over as Chairman of the Wu’s Academy Headquarters in Hong Kong. The protocol in all Wu’s Academies at the beginning of each session is the customary tradition of lighting the incense and to salute in respect of the Great Founder Chang San-Feng, and the ancestors of the Wu Family of Tai Chi Chuan. Their Grandmasters pictures are hanging on the wall of each Academy, except for Grandmaster Wu Chuan Yau, who there are no pictures of; Wu Chien Chuan, Wu Kung Yi, Wu Ta Kwei, Wu Yen Hsia and Wu Tai Hsin. Master Wu Hsiao-Feng (1949 – ), sister of Grandmaster Wu Kwong Yu, who had taught in Vietnam, teaches presently at the headquarters in Hong Kong. There are other official Academies spread worldwide, i.e. Toronto, Fredericton, Detroit, London, Hawaii, Singapore, Malaysia etc. In 1995 in Toronto, Canada, the inaugural convention of Wu Style Tai Chi Chuan took place. The purpose was to invite all Wu Style practitioners worldwide to attend, regardless of faction and school lineage, various styles and all their offshoot schools, instructors and students. None were excluded, on the contrary, as many Wu stylists as possible were welcomed. It was at this historical event that the history and subsequent developments were communicated from the horse’s mouth so to speak, of which videos and DVDs are available. The various instructors, disciples and students of Wu practitioners, dedicated to their own beliefs on lineage and stylistic differences, were informed of the actual development of the art within the family proper, while being embraced within the Wu Style community. It is inevitable that practitioners of the variations of the art make their own path, it is the way of the world, of human practice. Hybrid forms take their course, but are still included as part of the whole picture, not estranged. Values held close to the heart are maintained and respected regardless of who or where. Master Wu Kung Cho’s Gold Book, was published in 1935, and again in 1980. Finally, in 2005 an English version of this book was published in Toronto, by Master Wu Kwong Yu, with the help of his Toronto disciples. This book is at the heart of the story of Wu Style Tai Chi Chuan. It was the first place where the 40 chapters given to the Yang Family disciples were published in they’re entirety. In 1975 Master Wu Tai Chi opened the first Academy in North America, Toronto, and Master Wu Kwong Yu arrived to take over from his uncle six months later in 1976. ‘Aunty’ Wu Yen Hsia, whose speciality was the sword, along with uncle Master Wu TaiI Hsin, whose specialities were the sabre, and his exceptional looseness, visited on a regular basis, teaching and giving workshops. Wu Tail Hsin trained in his early days with Grandmaster Wu Chien Chuan, and said “training was hard”. Once when I asked him in Toronto what he remembered from those days, he replied, “Soft, he was soft”. His preference was always the square form. ‘Hun Shun Ba Bei’, extending the back and relaxing and hollowing the chest, with a straight spine, were his priorities in teaching. Master Ma Hai Long and Master Ma Jian Bao, often visited him. One of the main differences regarding practise of the hand form, is the turning of the hip. With the Master Wu Kung Yi lineage 99% of all practise is in the turning of the hip. Where as the Wu Ying Hua lineage prefer not to turn the hip. Some schools emphasise the circular forms, others the square form. Some continue the counting system to teach, others do not. Nevertheless all are Wu Style. Even the tradition of the individual masters with their own Academies emphasise different aspects of the Chuan. The bonding however is the maintenance of the essential principles. In 1993 Master Wu Yen Hsia eventually became the first female member of the Family to be recognised as Grandmaster and Gatekeeper of the Wu Style. She was very popular and had a large following. She was kind but also stern and dignified, and had a keen eye for correct practice in sparring, form or push hands. She was excellent in her demonstration of the fast form, as well as the Sword. When aunty passed away in 2001, Master Wu Tai Hsin was appointed Grandmaster and was succeeded four years later by Master Wu Kwong Yu (Eddie), who became the present Gatekeeper and Grandmaster of the Wu Family Tai Chi Chuan in 2005, officially recognised by the mainland Chinese Government. He has made supreme efforts to travel the globe to all the academies to give seminars, in order to maintain the highest standards in the tradition of his predecessors to keep the values of practise intact. He has also made significant contributions of his own, notably the 54 Form, the two-person sparring sets, and the wheelchair form, among others, plus a comprehensive set of videos and DVD’s. His website www.wustyle.com is probably one of the most extensive sites available, and the detailed history of Wu Style Tai Chi Chuan can be accessed there. is the Chief Instructor and Director of Wu’s Tai Chi Chuan Adademy in London.